How do I make my old computer run like new in nine steps? Maintenance is the last thing on your mind when you purchase a new computer, for good reason: your new computer should be able to handle everything you throw at it! Unfortunately, it is this mentality which leads to a common situation with PC users: a slow and unusable computer, well before the computer’s sell-by date. Many people think this is just normal, and that the normal life cycle for a computer is under 2 years. This is not the case! We want to help people get more life out of their computers, so we have devised this list of steps that ANYONE can follow to bring their computer back to peak performance. Perform these tips in order, and your PC will run like new! We hope you find these steps valuable! Here’s a video showcasing each of the steps in an interactive way. Here’s the list of steps for making your old PC run like new; read below for more details on how to execute each one. What follows is each step in order of execution, with details about how to perform each one regardless of which version of Windows you have. If you’ve still got questions about our nine-step plan after reading this, leave a comment here at the blog, or send us a reply on twitter, and we’ll get back to you as soon as possible. Before you get started trying to fix all the problems on your computer and run the necessary maintenance, first make sure there are no security problems on your computer, such as viruses or malware. Some malware and viruses can cause significant performance problems. You won’t be able to remove them through typical software removal methods, so it is always best to use a trusted and reputable security application. ReviverSoft recommends two applications; one carries a cost and the other is free. Norton Internet Security has a decade-long reputation for bloating your computer and making it slow and difficult to use, but for the last few years it has actually been the exact opposite of that. Norton now uses few resources and provides a level of security that has made it an Editors’ Choice among security software reviewers. Our free recommendation is Malwarebytes Anti-Malware. Malwarebytes has long been a favorite security application for technical people (we have even heard stories where tech support people from other security recommend Mawarebytes to their customers). The application is known for its ability to detect almost all malware. Download and run one or both of these applications, and then run a system scan for each to make sure that your PC has not been compromised. Over time, you use your computer for many different purposes. You might use it to design something, play games and music, chat with friends, burn CDs, record music or for any number of other things. You need an application for each of these purposes. Quite often, you may install something and use it just once, or you may use it for a short period of time and then stop using it. Each application you install on your computer takes up space, may run in the background while you are using the computer, and many even make your computer start slower. This is why we recommend that you uninstall any application you’re not using. Windows makes it very easy to uninstall applications. We have a great article on how to uninstall software from your computer. It always feels great to throw away things you don’t need, and the same goes for removing applications you no longer use. Be ruthless! You can always go back and download the application later, and if it is a long while between uses for a particular application, it is likely an update is needed before you can use it again anyway, and updates can take just as long as downloading the whole thing. When you install most applications on your computer, that application thinks it is one of the most important applications, and so it sets itself to automatically start when you computer does. This is generally OK, until you have installed a large number of applications and they are all trying to start when Windows launches. These applications have to fight for system resources and slow down Windows from loading. Very few of these applications need to be running up startup, and you can always start them later on after the PC is running. Below is a video blog that shows you how you can disable applications from running at startup. Make sure that you only disable applications when you know what they are. Do a web search if you are unfamiliar with a program you are considering removing from startup. Slow computer load time is usually one of the major factors that drive people to a new computer, but it is not the computer’s fault that Windows is loading slowly. It is all the applications loading at the same time as Windows. Even though you may be using the most recent release of Windows (Windows 7 is the most recent at the moment), you may not be running the most recent version of Windows. Microsoft is continually working on improving Windows by fixing security problems, known bugs and improving the way the operating system runs. If you don’t regularly run the Windows Update application, you may be missing out on these updates, some of which may fix problems you are having with your computer. Checking for Windows updates is easy. All you need to do is click Start, then All Programs, then Windows Update, and then follow the prompts to check for updates. For more detailed instructions for checking for updates, please visit Microsoft’s site. Your computer is made up of many different individual pieces of hardware. Each of those pieces of hardware needs a piece of software (called a driver) that enables that hardware to work with Windows. When you buy your computer you usually buying it with all the latest drivers installed so that your hardware works perfectly with Windows. Over time however, hardware manufacturers release new drivers when changes are made to Windows so that your hardware always works smoothly. While Windows has a driver update utility, it does not notify you of all updates and there is not an easy way for you to find out which drivers are out of date that Windows does not find. Driver Reviver offers a free scan to show you which of your drivers are out of date. The below video shows you how the application does this. After the scan you can take the time yourself to go and find the drivers and install them or for $30 Driver Reviver will automatically download and install them for you. Disk Cleanup is a free utility offered by Windows that helps you remove temporary and unneeded files from your PC. This helps you free up useful hard drive space. Running this utility once a month is a good idea to help clear out files you no longer need and reduce system clutter and disk fragmentation. Disk Cleanup is easy to use and can be found by clicking Start, then All Programs, then Accessories, then System Tools, then Disk Cleanup. Follow the prompts to remove the files you no longer want on your computer. Generally it is safe to remove Downloaded Program Files, Temporary Internet Files, Recycle Bin, Temporary Files and Thumbnails. 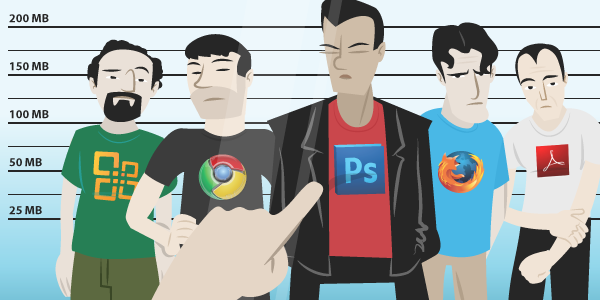 We spend a lot of time using a web browser compared to PC users of the past. We use web browsers for e-mail, music, news and so on. Unfortunately, because we spend so much time using web browsers, many companies now create browser add-ons that take up valuable real estate and often change browser settings, such as home page, search provider and other settings you normally don’t want changed. Take some time to review the add-ons you have installed on each browser, and remove the ones you don’t use. Removing them will restore your default browser settings and will usually improve your browsing performance. Here’s our guide on disabling browser add-ons. The Windows Registry is like your operating system’s brain. It is where Windows stores settings that make your computer perform the way it does. Every time you install or uninstall an application, there are changes made to the Windows Registry. Sometimes when you uninstall applications, these applications do not clean up after themselves, and they leave behind entries in your Windows Registry that can slow down the process of finding correct entries. Registry Reviver is designed to scan your Windows Registry to find invalid entries (that point to a file that does not exist) and remove these entries. This reduces the Windows registry size and clutter. Below is a video that explains how to use Registry Reviver. The final step! Once you have completed all of the above steps, the final step is to defragment your hard drive. This video from the PC Benchmark website explains why a hard drive becomes fragmented and how to defragment it using the tool provided by Windows. Now that you’ve run these steps, your PC should run like new! So what do you do now? Easy. Follow our Twitter feed. 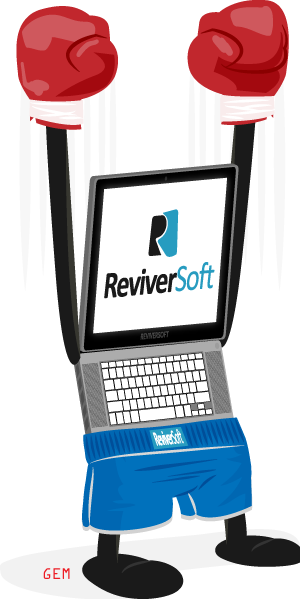 We regularly post updates from our ReviverSoft PC Maintenance Plan. Follow each step when it comes up on Twitter, and your PC will last and last. If you miss an update, don’t worry — just catch it when it comes around again. Good luck, and happy computing!